If you’re into computers, programming, software and technological advancements, then a career in IT or computing could be the ideal choice. The IT and computing industry is one of the biggest and fastest-growing sectors around, and there isn’t an employer out there who doesn’t use technology in one form or another. There’s no better time to get into the industry. As developments in the IT and computing sector continue to grow so quickly, we ensure that we stay on top of industry standards by providing students with the best resources and learning environments, including specialist computing labs and LEGO innovation robotics suites. Our tutors have backgrounds in almost every area of IT, and many have extensive professional experience so they’re great at helping you apply theoretical knowledge to real life situations. They also work hard to keep up to date with new technological developments so that they’re always teaching you the skills and content that is at the cutting edge of advancements. All of our study programmes focus on making you as employable as possible, so you’ll develop the practical skills and theoretical knowledge you need to make you stand out to employers. This could include learning to write code or mastering popular software applications that are often required of network or desktop support engineers. Plus, because many of our tutors have worked in the industry before entering education, they have excellent professional links to help further your knowledge and expand your career horizons. If you choose to study on one of our IT and computing study programmes, you'll be based at our City Campus. Our facilities here include dedicated computing labs equipped with the latest software and computer programmes and a LEGO innovation robotics suite. All of our facilities aim to replicate the standard of equipment you would be expected to use in the workplace, so that you're acquiring the skills you'll need for employment. Why not attend one of our open days and have a look around our state-of-the-art facilities? We know that one of the best things we can do for our students is to give them practical experience of the sector they plan to work in so that they feel confident and prepared when it comes to entering the workplace. 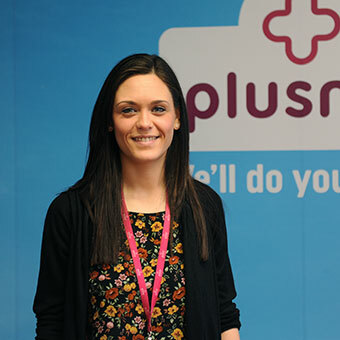 Not only will you learn to work with the most up-to-date software and computer programmes, but you tutors will also support you in finding work experience placements so that you can apply your theoretical knowledge to real-life scenarios. You'll also be able to take advantage of visiting guest lecturers, class trip to employers and industry professionals and even entering into competitions to develop your skills. Let's face it, there's no better time to get into working in computing or IT - there's hardly a company out there who doesn't need to use some form of digital technology in their day-to-day operations, and the likelihood is that's only going to increase. 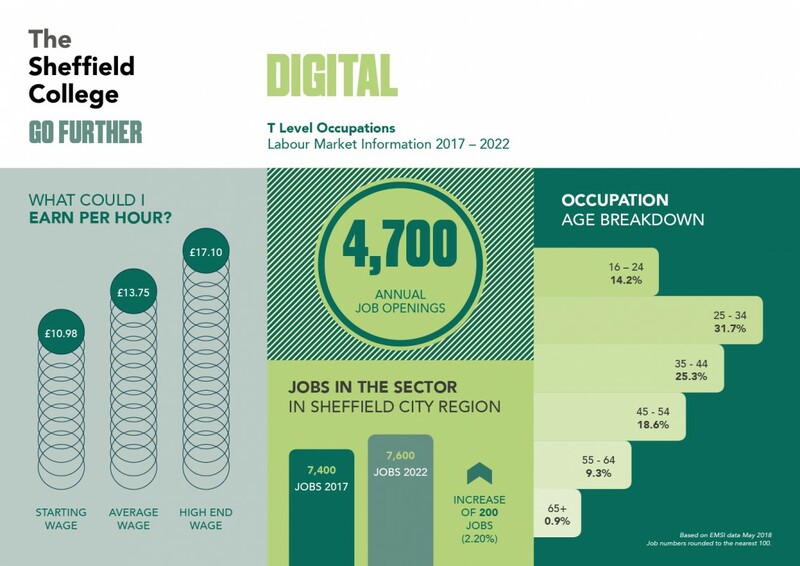 In fact, it's estimated that there will be over 7.5K jobs in the digital sector by 2022, and that's in the Sheffield City Region alone! Earning potential in this sector is also increasing, with wages starting at almost £11 per hour. For more information about the average wages for specific job roles, plus regional vacancies and CV tips you can use our online platform, Career Coach. "If you are young and ambitious with an interest in ICT and computing, this is the perfect industry for you."